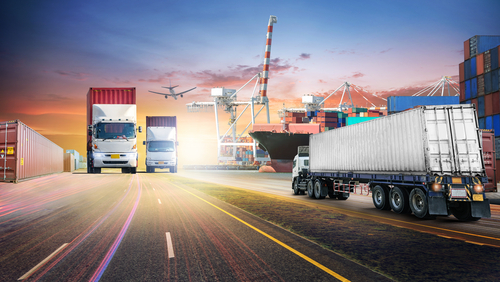 The Outlook for Trucking Logistics in 2019 - Specialty Freight Services Inc.
2018 was a spectacular year for the trucking industry, with record-setting levelsof freight-hauling demand and industry growth. As the new year begins, let’s look at some of the top changes to expect in the trucking industry in 2019. The trucking industry continues to see exceedingly high turnover rates; at the end of 2018, the turnover rate for truck drivers was about 96%. In 2019, carriers will continue their efforts to combat the high turnover with a variety of strategies, including mileage bonuses, longevity bonuses, safety bonuses and other performance-based incentives. Some carriers are also considering purchasing trucking firmsthat have drivers on hand as a way to meet growing demand from shippers. Electric vehicles, or EVs, are an impending solutionfor the trucking industry, as EVs can achieve zero emissions and significant savings on maintenance costs. While mass conversion to electric vehicles is still several years off, many strides were made in 2018 – for instance, the North American Council for Freight Efficiency put out two guidance reports on electric trucks. These advancements should continue in 2019 as the role of electric trucks becomes increasingly significant. Additionally, automation in the trucking industry is inevitable, according to industry leaders. Like with electric trucks, fully autonomous vehicles are not expected to become omnipresent within the next year, but the industry will continue to make progress toward automation in 2019. Automation, not just in driving but in documentation, terminal operations and more, has the potential to reduce accidents, regulate freight flow and eventually reign in the price of consumption. It can also reduce the workload for truck drivers while making them more efficient. Experts predict that carriers will increasingly focus on moving away from paper-based operations and toward digitization, as well as be more proactive about discussing automation. Marijuana’s legalization at the state-level for a growing portion of the country is creating a tricky situation for the logistics industry. While 31 states and DC have medical marijuana laws, 13 have decriminalized possession, and nine states and DC have legalized marijuana for recreational use, marijuana is still a Schedule 1 controlled substance on the federal level. This means that not only are truck drivers not allowed to use it, but trucking companies are not allowed to transport it. From an employment perspective, the legalization of cannabis use can cut into an already waning pool of available drivers. As the trend toward legalization is expected to continue, the logistics industry will have to grapple with conflicting state and federal regulations. Finally, the Federal Motor Carrier Safety Administration (FMCSA)’s Compliance, Safety, Accountability (CSA) program will see a revamp in 2019, with the FMCSA planning to roll out a new full scale model in April 2019. The new methodology will be based on an item response theory model, which will enable a more scientific approach to safety scores.